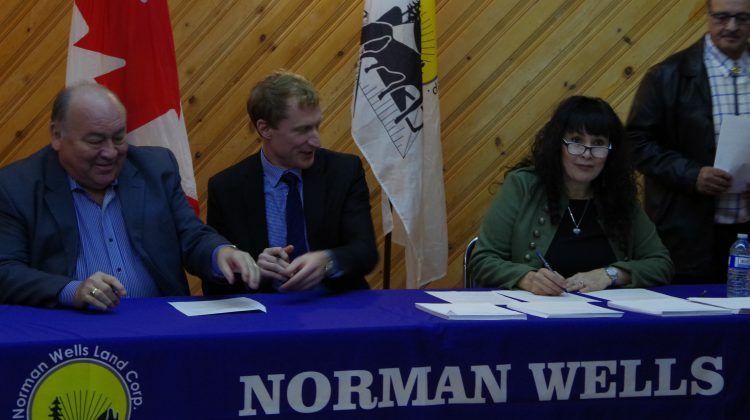 After 12 years of negotiations, leaders at the signing of a historic agreement in Norman Wells say they hope it won’t take as long to reach a final self-governing agreement. 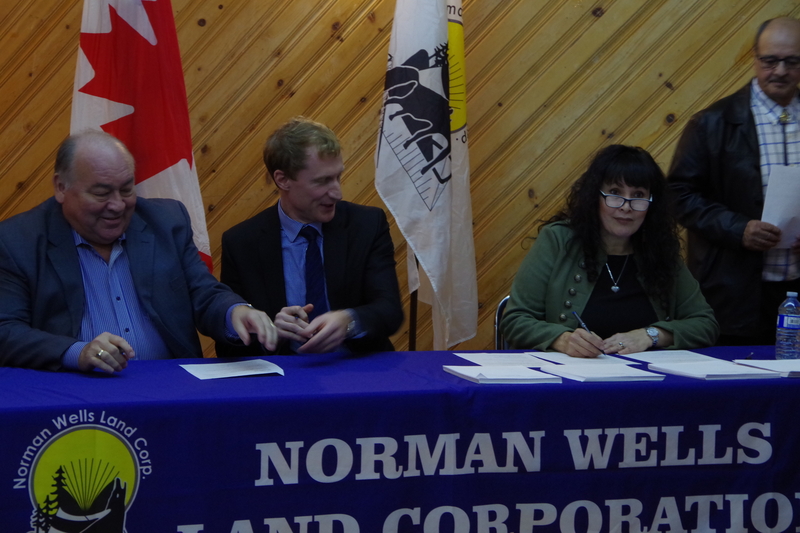 The Norman Wells Land Corporation, the GNWT and the federal government signed a self-government agreement-in-principle Wednesday at the Legion in Norman Wells. A lot of heavy lifting was done to get to this point says negotiator and director with the land corporation Margaret McDonald. Negotiations began in 2007. 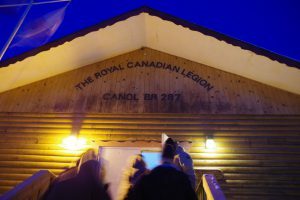 Wednesday’s signing brings the Sahtu Dene and Metis closer to the goal of governing their own community says negotiator in chief Larry Tourangeau. With a population of 760, 37 per cent of whom identify as Indigenous, the community of Norman Wells is also home to 300 members of the Norman Wells Land Corporation. The fact that the Sahtu Metis and Dene are a minority in the community is a factor in the time it’s taken to get to this stage says Lisa McDonald. Premier Bob McLeod says it is good to see broad support of the agreement because of historical opposition in the community. The Sahtu region now has two communities either already self-governing or close to it. Deline began to self-govern in 2014 and Sahtu MLA Daniel McNeely says it is a model for other communities. While not legally binding, the agreement signed Wednesday is the foundation for the next stage of negotiations. The text has not yet been shared with the public.